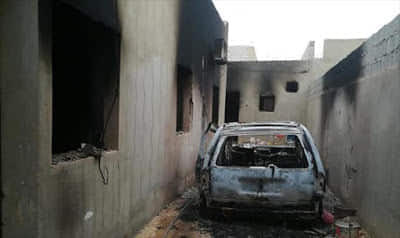 As fighting continues in Tripoli, a group said to be loyal to ISIS terrorists attacked the town of Fuqaha, in Jufra city, killing three people and kidnapping another before leaving, residents said. Fuqaha is controlled by fighters loyal to Khalifa Haftar, whose forces are now focused on attacking Tripoli on the pretext of fighting terrorism. ISIS has been active in Libya in the turmoil since the fall of Gaddafi’s regime in 2011. It took control of the coastal city of Sirte in 2015 but lost it late in 2016 to local forces of Al-Bunyan Al-Marsous backed by US airstrikes, and now operates in the shadows.